Between the cold temps and the smoggy air, Salt Lake City residents are finding more reasons to stay indoors—and if you're going to play the homebody game, you might as well make that home as lovely as possible. 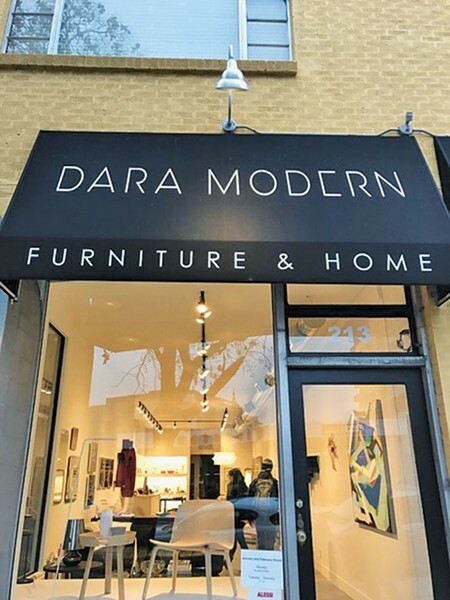 Dara Modern, a locally owned boutique for furniture and home goods, wants to help make your home as unique as you. The company offers a wide variety of products at different price ranges for everyone—whether you're looking for new furniture, art, accessories or kitchenware. "We offer more than we can fit in the store," owner Dustin Matinkhah says. "We can order anything from the lines of the brands we carry, although obviously we can't have it all in the showroom." Matinkhah started Dara Modern as a pop-up store for three months around the holidays in 2015. The experiment went so well that he decided to open a full-time store, which has been operating since June 2016. "It's been going really well and the feedback has been good so far," he says. Matinkhah loves the buying process the most—"finding new, cool things to bring to Salt Lake and share with people," he says. He visits trade shows to find brands that he knows are great, but aren't offered in Salt Lake City. "And usually when I travel, I shop quite a bit, so it's nice to check out stores in other places, see what products are interesting," he says. "Interesting" is the perfect way to describe their aesthetic. 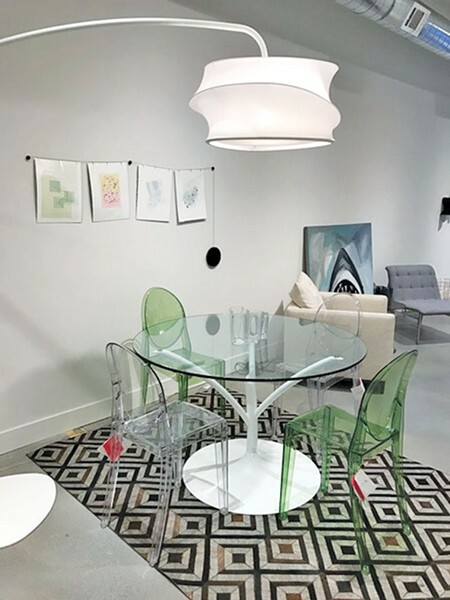 Whether it's a transparent green acrylic dining set, eco-friendly disposable plates, neon clocks, marble and brass paper-towel holders, copper wire baskets, stemless cognac glasses or lacy placemats, there's always something eye-catching. Matinkhah's sister Gabbie helps out in the shop on occasion and enjoys watching customers' reactions. "I love hearing their compliments," she says. The majority of patrons who walk through the boutique's doors say they're pleased with the type of products now being sold here. That's what Matinkhah was shooting for. "I'm excited to bring in brands that weren't really being represented in Salt Lake City," he says. Though he isn't just going for unique. Each piece is functional, lovely and can stand on its own—which means you won't have to haul a half a dozen purchases if you want to spice up an area in your home. While the furniture and home goods are sourced from all over the globe, Matinkhah makes an effort to support and promote Utahns with his art selections. Dara Modern currently features pieces from local artist Ellen McConnell (pictured above), among other stunning works. And when you're ready to cart home your prized new posessions, the personalized customer service extends beyond the doors of the boutique. "I even do my own deliveries," Matinkhah says.